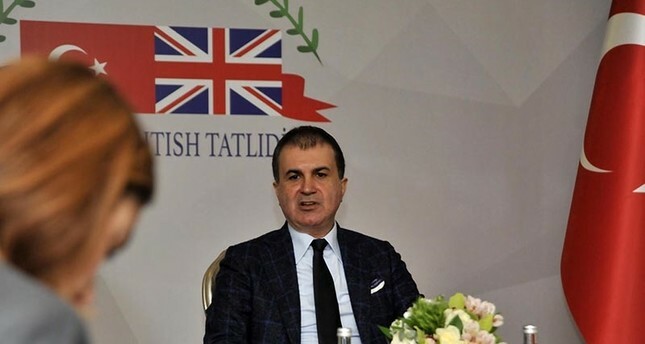 EU Minister Ömer Çelik criticized a recent report by the lower house of the British Parliament's Foreign Affairs Committee for failing to include the Turkish view regarding the topics covered in the paper. Speaking at the sixth Tatlıdil Forum in southern Antalya province on Saturday, Çelik said that the report "had difficulty" in understanding if there is enough evidence to prove Gülenist Terror Group (FETÖ) involvement in the July 15 failed coup attempt. Çelik said that reports prepared by such committees either do not bother to ask for the Turkish view, or ask about it but disregard it while writing it, making it biased. "I asked them frankly what proof they expect" Çelik said, noting that Turkey is ready to discuss the evidence, while adding that numerous coup plotters have confessed to being members of FETÖ and carrying out the coup based on the orders of FETÖ leader Fetullah Gülen. Çelik said that such reports should be prepared in consultation with politicians in Turkey, including the ruling Justice and Development (AK Party) Party, main opposition Republican People's Party (CHP) and others. This will help those preparing the report to clear any confusion and get a grasp of the details surrounding the issues, Çelik said. In its report, the Foreign Affairs Committee highlighted the importance of Turkey as an international partner for the UK. However, it noted that "the Department knows too little about the Gülenists - who the Turkish government exclusively blames - and their role in the coup attempt."